As said earlier, employee engagement is pivotal to the sustenance and growth of the organization. Every successful organization understands the importance of effective employee engagement. Employees engross themselves in work when they feel that they are doing meaningful work and what they do makes a difference. Truly engaged employees put their heart and soul into their jobs and have passion and excitement to give more than what is desired from them. In the absence of employee engagement, organizations suffer loss and negative clientele response. To combat employee disengagement, an organization needs to have certain principles or ways. A supportive organizational culture − An organization leaves no stone unturned in keeping continuous employee engagement. It needs to create a culture that fosters engaged employees. 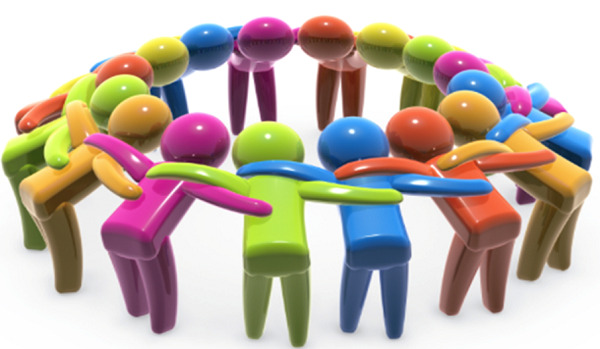 A supportive organizational culture works as a major attraction for the employees to join. A vision to reckon with − An organization should have a well-defined, well-communicated and strong vision which attracts and encourages employees to work for it. The vision needs to be shared with the employees in the organization by the leaders or management across the organization. The vision when communicated keeps the employees emotionally attached to it. As a result, the employees remain committed and loyal to the organization. Effective communication − Organization is a place where an employee spends a good portion of their life. Good and effective communication channels are thus helpful in fostering employee engagement within an organization. Employees are interested to know how the organization is doing on financial, social, and goal-achievement fronts. The immediate boss or the team manager should be easily accessible to the employees. Employee development − Every employee in the organization wants to grow in terms of salary, perks, and position. They always seek opportunity to grow within the organization. Line managers or team leaders have some responsibility to groom or develop the team members through appropriate training and knowledge upgrade frequently. Reward and recognition − Reward, recognition and appreciation are the things used to increase the motivation level of employees. Employees get a feeling of their effort being validated and acknowledged by the superiors. They feel to be a valuable part of the organization. Employee satisfaction − Employees feel satisfied when they are considered as part of the process, their opinion gets valued, and they are on the forefront to achieve the desired goals. Organizations should solicit the employee’s feedback, ideas, and thought process as employee satisfaction leads to increased production and profitability. Competitive pay and benefits − Offering viable compensation, benefits, good incentive plans, proper working condition, and flexibility are the necessary preconditions for strong employee engagement.